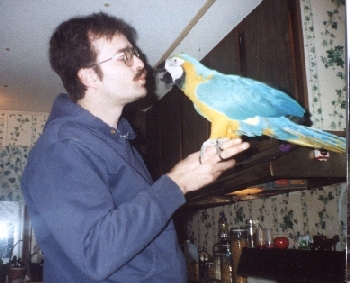 Many birds, especially large parrots, do not receive the proper grooming. This includes nail clipping, beak repair, wing clipping and baths. Baths? yes, a bird should have two to three baths each week. This can be accomplished with a large spray bottle filled with warm water which you mist over them, or through minimal training to get into a sink or large dish of water to bathe themselves. This fee includes a quick essential oil bath with the nail trim and wing clip. It is rare that we have to repair a beak, and if your bird requires that service, we will do that at no additional cost.